Wedding season is almost upon us, and if you’re racking your brain over what to wear while watching friends or loved ones tie the knot — don’t worry because we’ve got you entirely covered! Our Wedding Shop has something for you no matter the type of wedding you’re attending or whatever role you play in the festivities. Daytime weddings are both casual and beautiful, so of course you’d want to look a little dressy without going over the top. Both Thea and Malorie (launching this Sunday) are suitable for guests heading to church weddings or wedding luncheons, and both designs come in lighter colours that suit the mood of a daytime event. Although beach weddings are few and far between on our sunny little island (lol the irony! ), if you’re lucky enough to be attending one here — or better yet, flying overseas to a beach destination to witness friends get married — then Elyse (launching this Sunday) would be a lovely choice. 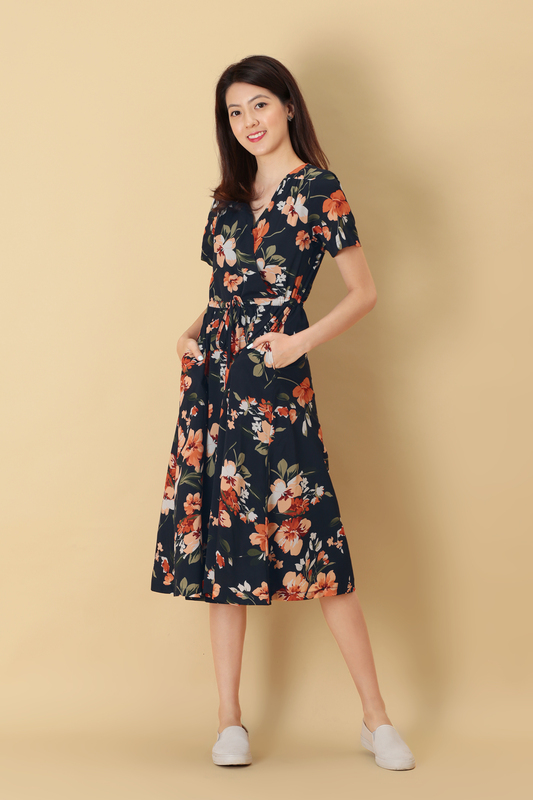 Littered with florals and featuring a drawstring detail at the waist area, this feminine dress is fitting for the occasion while still allowing you to feast all day! Fulfilling bridesmaid duties at your bff’s wedding dinner? Something functional like Beverly or Alene will keep you looking pretty all night while providing enough comfort as you run around helping out with the reception. With these superbly secure designs you won’t find yourself having to care about things like falling shoulder straps or tripping over your own dress. Girls who are all for having fun and wouldn’t mind something with a little peekaboo can go for either Giselle or Valentina. But if baring shoulders isn’t quite your thing, maybe try Tabitha (lauching this Sunday) instead, an upbeat party dress with a gorgeous drop hem. These designs show that you’re not afraid to have fun, and are wonderful options if you’ll be attending both the wedding dinner and after-party. Attending a lavish wedding where everyone’s going to be all dolled up? Athena and Natalie (launching this Sunday) are charming maxi options that’ll have you looking like a dream! Pair with simple heels and bring along a swanky clutch to complete the look. Athena can even be worn in several different ways, and both dresses come with silicon anti-slip bands for extra support.